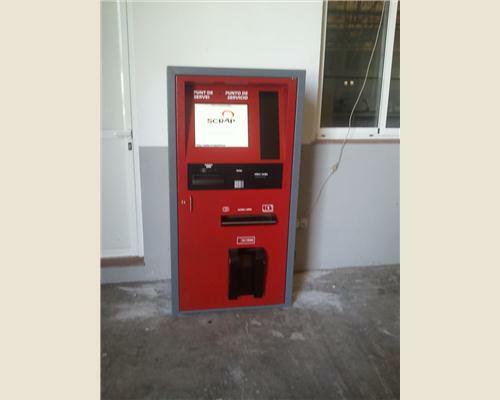 The terminals are used for automating cash dispensing concept from the sale of scrap. This payment is made after an automated accreditation DNI or NIE. The dispensation of money can be cash or in check. It is a full touch application that allows the user an intuitive way to charge for the sale of scrap. The entire application is completely integrated with the central server Navision. The Navision system using WebServices technology functions to public information about a particular waybill and which may charge. 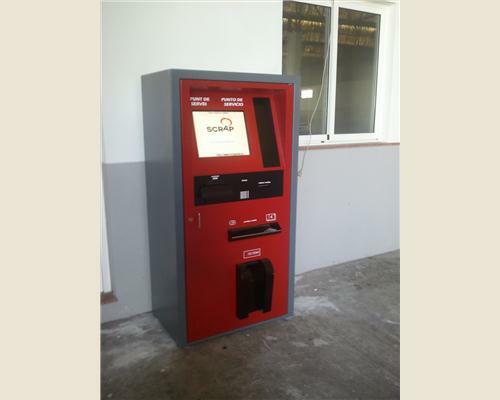 AtmSCRAP application consultation and records all the steps the user, giving the end the amount for sale. The terminal network is controlled by the IPS system, WebTerminalManager.